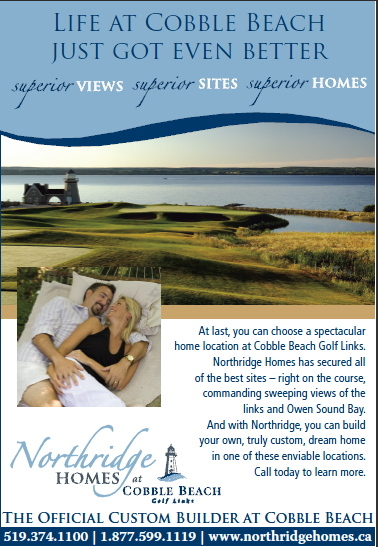 Northridge Homes positioned itself as the official custom builder at Cobble Beach, offering lots on prime locations at this prestigious golf course north of Owen Sound, Ontario. For this completely new development project, we first designed a logo to brand the development in conjunction with Cobble Beach. 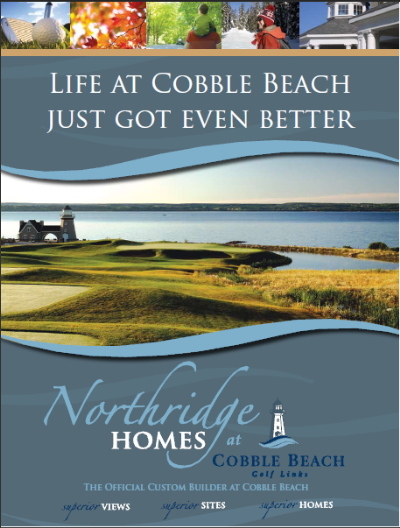 As the custom builder of choice for the golf course, Northridge Homes incorporated the Cobble Beach logo into its branding. Our logo for Northridge Homes incorporated the Cobble Beach logo, while creating a new standalone branding for the builder. Signage onsite and along the road leading to the course generated leads, as did ads in a variety of publications. Prospective buyers received sales materials including a brochure/presentation folder, which allowed Northridge to add and update sales sheets and other materials. 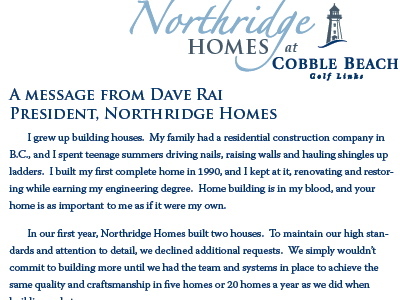 The package also included a letter from the Northridge President, which we drafted to demonstrate what made Northridge, and this development, different.